Dentures are removable false teeth made of acrylic, nylon or metal. They fit over the gums to replace any missing teeth and also eliminate potential problems caused by gaps in the mouth. Problems with eating and speech can occur if the mouth is left untreated. A complete/full denture is one which replaces all of the natural teeth. A partial denture is one which replaces one or more teeth but not all of them. This type of denture can be made from acrylic or metal (known as a ‘Cobalt-Chrome’ denture). Immediate dentures are inserted immediately after the removal of a patient’s teeth. A partial denture may be tooth-supported or tooth and tissue-supported. A tooth-supported denture is one with clasps (or clips) around teeth that are present and sound. Usually the denture is a metal denture (Cobalt-Chrome). This type of denture is rigid, ultra-thin, light and very strong. A tooth and tissue-supported denture is usually a pink acrylic denture with clasps (clips) that sit and on the gums and wrap around adjacent teeth. 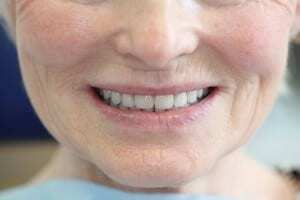 There are significant differences between theses two types of dentures and during the assessment appointment, the best one for you will be clearly explained. The number of teeth remaining, the position and the stability of the teeth are only a few of the factors that help to determine what style or type of partial denture would be best for you. An implant-retained denture utilises direct connections to implants that have been placed. They overcome the instability and lack of retention of a common normal denture. Implant-retained dentures are relatively inexpensive when compared to more sophisticated types of implant restorations, such as crowns, and yet are very effective. Also, being removable, an implant-retained denture is easy to clean and care for, thus reducing future expenses. Immediate dentures are inserted immediately after the removal of teeth. To make this possible, we take measurements and makes the models of the patient’s jaws while natural teeth are still in position, during a preliminary visit prior to extraction(s). An advantage of immediate dentures is that the wearer does not have to be without teeth during the healing period. Bones and gums can shrink over time, especially during the period of healing in the first six months after the removal of teeth. When gums shrink, immediate dentures may require re-basing or relining to fit properly. A conventional denture can then be made once the tissues have healed. Healing of the soft tissue may take up to 8 weeks; bone can take many months to heal completely. If you are unable to find comfort with your denture, you may want to consider a soft liner. Soft liners are a medical-grade soft polymer material applied to the tissue-fitting surface of the hard denture base. Soft liners behave like a shock-absorbing cushion when chewing. Soft liners can be applied to new dentures or old dentures, with a reline and re-base treatments. If you have any questions regarding dentures or the procedures we follow, please don’t hesitate to get in touch with our friendly and professional team at Camden Dental Practice in Preston by calling 01772 556 050 you can also contact us here. For more information regarding dentures please click here.